It is time we walk the talk. To create a society were diversity is truly reflected in all of us, it starts by fostering potential from young. I am sorry. I have been MIA for the last few weeks and I bet you are wondering what happened. There has been a lot of change on my end, and no matter how hard I tried to prepare ahead of time there were a few hiccups along the way. Don’t worry, everything is settling down and I am feeling so positive about the future. I will give you the scoop. The last two weekends in April I had back to back speaking engagements. I was speaking at the Ontario National Alliance of Black Student Educators (ONABSE) annual conference and just this weekend I was in Kingston, Ontario delivering a keynote speak at the Speak Up 4 Ability forum by the Learning Disability Association of Kingston. In between all these events, I was moving and battling a cold. The excpectations in post-secondary are different from high school, Are you ready? The themes of transition and changed were huge topics in both of my presentations. I cannot stress enough the importance of helping and preparing students who are transitioning into post-secondary education. The process to receive help and support for students with LD is a whole new ball game and if you are not prepared for the change you may strike out. If you are joining me, now on this journey you may want to go back and read my story. I was one of those students who had a difficult time in university a major reason was because I had a learning disability and I did not know how or where to get help on campus. IEP/ IPP do not transfer over into college and university. Upon walking on campus, students need to learn to raise their voice and be their own advocate in order to get the support and accommodations they are entitled to. Yes, entitled it is not a choice it is students right. Any student with a disability has the right to a barrier-free education and it is the colleges and universities duties to ensure students succeed in their studies with no barriers. However, this only happens when students speak up and start advocating for themselves. No mom and dad cannot be your voice, you have to speak up for yourself. If you will be starting college or university this fall, here are a few tips to help you get off to a great start this fall. 1. Do not wait to visit the student disability service centre. If you have been identified as having a learning disability, or ADHD and have an IEP/ IPP go to campus and speak to someone at the disability service centre. Explain to them that you will be starting school in the fall (or whatever semester) and you have been receiving accommodations and support in high school and want to know how to get the same support in post-secondary? The exact question you need to ask and the person should instantly guide you through the process. Do not get caught up in this mind trap and think you can solve or handle your problems on your own. Everyone needs a team to help them reach the top. Do not wait until it is too late. Ask questions, ask for help. Be in constant communication with those around you wanting to support you. Do not go MIA and think you can handle it on your own because if you could it would have been dealt with by now. You cannot be mad at the results you did not earn if you did not put in the effort. College and University schedules can be hectic, regardless it is important to prepare and plan your study schedule. A simple 15 minutes of reviewing notes daily will add up the time exam season rolls around. Do not wait until the last minute to cram, study or write an assignment (studies have shown that you are less productive this way.) If you want tips on studying ASAP science does a great job at breaking it down. Life is a journey. We are going to learn lessons along the way. You may not get it right on the first try but do not get discouraged and give up. Focus on making progress, not perfection. As long as you keep moving forward you will excel. While change is unavoidable, we can help to minimize the stress associated with transitioning. You are in control of your destiny and there are no limits to what you can achieve. Not too many people know this part of the story..once upon a time I thought about dropping out... Thankfully I never gave up, because I had something to keep me going during tought times. What drives you? Do you really know what a learning disability is? Most people can define learning and disability but together this compound word has a whole new meaning. One that may be difficult to understand until now. Everyone is going to have their opinion and thoughts about you. But you do not have to accept their two cents. Beleive in you and the rest will be magic. The rain does not last forever. Many believe Valentine’s is just another commercial holiday, a way for people to go out and spend money as a means of expressing their love to others. For me growing up, the day was just a family celebration, where we made the time to have a nice home cook meal together and enjoy one another’s company. As I grew older I realized that love has many different meanings, which cannot always be captured in a hallmark card. Over the past few years, I have taken the time not only to show my family how I appreciate and love them but recently extended my display of affection to my friends. Although I never received a dozen rose, I have always had a happy valentine’s day regardless. But one year, I realized that I had forgotten to show the most important person in my life love. When is the last time you showed yourself some Self-Love? Love comes in many different forms, and while love is love, self-love is important and we should be showing ourselves some T.L.C every day. So what is self-love and why is it important? Allow me to create an illustration with an analogy that was recently given to me. Imagine two individuals are holding a candle. Both individuals want to light the other person’s candle to give them light and make them happy. The only problem is their own flame is not light. How can we expect to light someone else candle if our own flame is not lite? How do you expect to love someone else, if we haven’t taken care of our needs? Make sure your candle is lite before you lite someone else's. Self-love is the act of taking care of our own well-being and happiness. It is the need proceed of being selfish before we can be selfless to others especially those we love. We need to learn to be selfish first before we can be selfless. 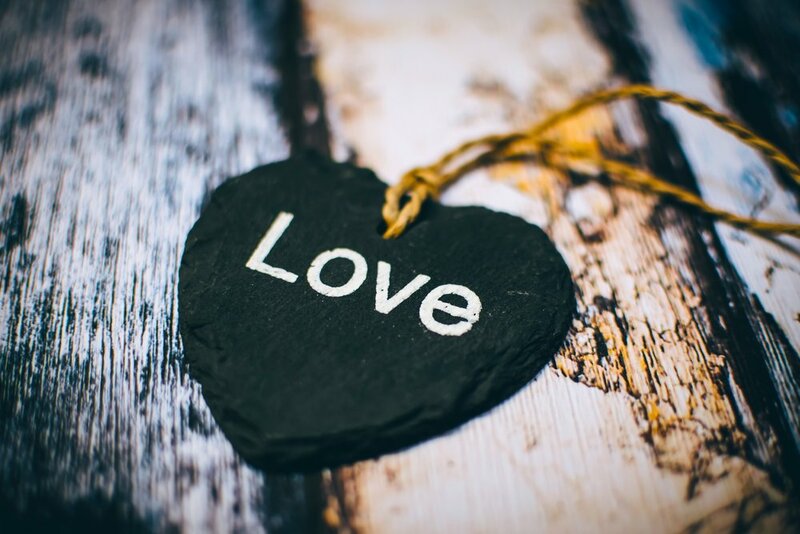 You are probably wondering what love, emotions, and self-love have to do with education and learning disabilities. At first, I didn’t make the connection but after going and growing through my experience I realized it is a critical part of the journey of success. Most individuals with the learning disability are diagnosed at a young age. The challenges students may encounter with their LD can impact their self-esteem and self-confidence from young and continue as an adult. Children build their self-esteem by comparing their abilities with their peers. A student with dyslexia is likely to internalize their problems in reading as a personal attribute and will avoid reading activities. In my cases, I have always been self-cautious about my writing abilities. I would encounter mental blocks of self-doubt, overthinking situations to the point that I would not write a sentence. (Starting this blog has been an emotional challenge). These negative thoughts that play through our heads as a kid continues into are adulthood and in some case for the rest of our lives. The only way to get past these mental blocks in our head is to cast it out with self-love. I had to realize that in order to fulfill my goals for Special Compass, I had to show myself some self-love and break past my mental blocks. My learning disability is a part of me but it does not define who I am. My imperfections are what make me unique and rather than be shy and hide from them I need to embrace them. If I want to help others, I need to help myself first. In life, we will always have good intentions to do well on to others. But we cannot lite someone else’s candle if our flame is not burning. The journey to success can be challenging and while we are here to support one another, make sure you take care of yourself first give the show some love to you. The journey to success is not easy. When faced with challenges this is what you should do. It is time to raise our voices and start the conversation on mental health and all that are impacted.